Most people may know about Ted from “Story of Your Life” which was filmed as Arrival, but his reputation with readers and writers as a top tier craftsman of the short form was well established before then. We had the pleasure of asking Ted some questions about a short (very short!) piece of his from 2015, part of an art installation and as a result quite different from his usual style though certainly sharing the same DNA. Coincidentally, it continues the Anthropocene theme from our last set of podcasts. It is also an excellent example of art in conversation with art — text and visual art co-created and responding to each other to produce a larger work. 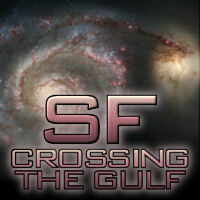 Note: This podcast and all previous SF Crossing the Gulf episodes are available at this archive page. 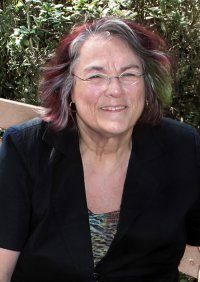 Karen Lord is the award-winning, Barbadian author of Redemption in Indigo, The Best of All Possible Worlds and The Galaxy Game, and editor of the anthology New Worlds, Old Ways: Speculative Tales from the Caribbean. She is part of the writing team for seasons three and four of the serial fiction Tremontaine. Karen Burnham is an electromagnetics engineer by way of vocation, and a book reviewer/critic by way of avocation. 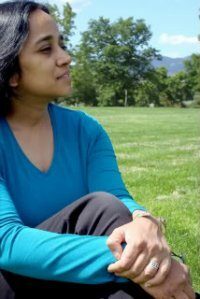 She has reviewed for venues such as Locus Magazine, Strange Horizons, and Cascadia Subduction Zone. Her book on Greg Egan came out from University of Illinois Press in 2014.